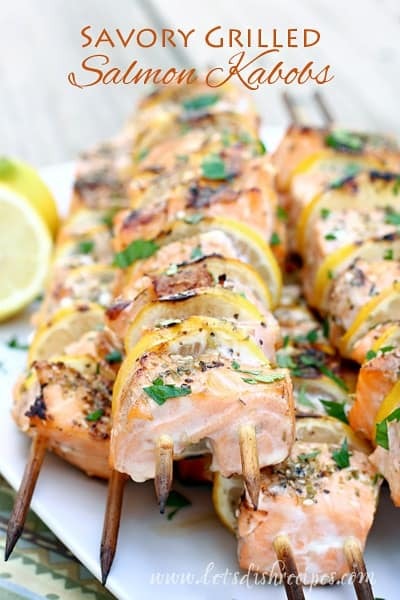 SAVORY GRILLED SALMON KABOBS — Salmon is skewered with lemon slices, then coated in a savory spice mix and grilled to perfection. 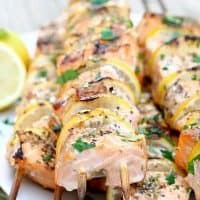 All three of my boys love fish, so it’s pretty much guaranteed to be a hit whenever I make it, and these Savory Grilled Salmon Kabobs were no exception. These kabobs were SO quick and easy! 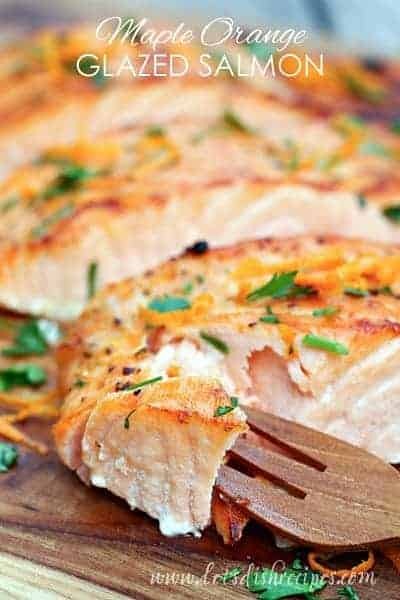 That’s one of my favorite things about fish–it cooks quickly, so it’s great for getting dinner on the table in a hurry. 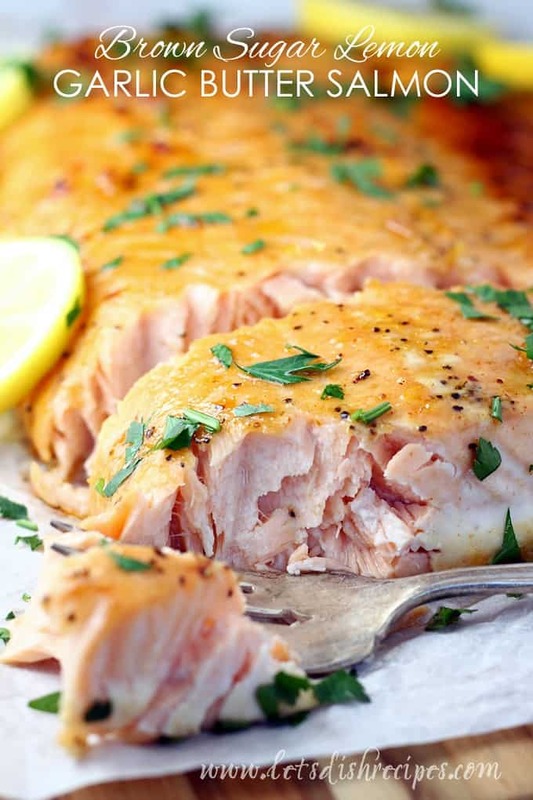 The lemon and seasonings in the recipe are the perfect accompaniment to the salmon. To say my family devoured this would be an understatement! Using double skewers makes it so much easier to turn your kabobs on the grill. It helps keep the skewers from just spinning inside the meat when you go to turn the kabobs, so I definitely recommend it. Just be sure to soak wooden skewers for at least 30 minutes before cooking. Preheat grill for medium heat. In a small bowl, combine oregano, sesame seeds, cumin, pepper, salt, cayenne and garlic powder. Set aside. Beginning and ending with the salmon, thread salmon and lemon slices onto 2 parallel skewers. If needed, fold lemon slices in half before placing on skewers. Brush with olive oil and season with spice mixture. Repeat with remaining salmon and lemon slices. 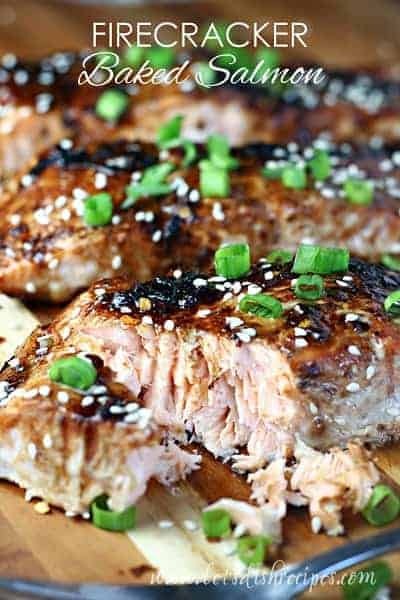 Grill for 3-4 minutes per side, or until salmon is cooked through.